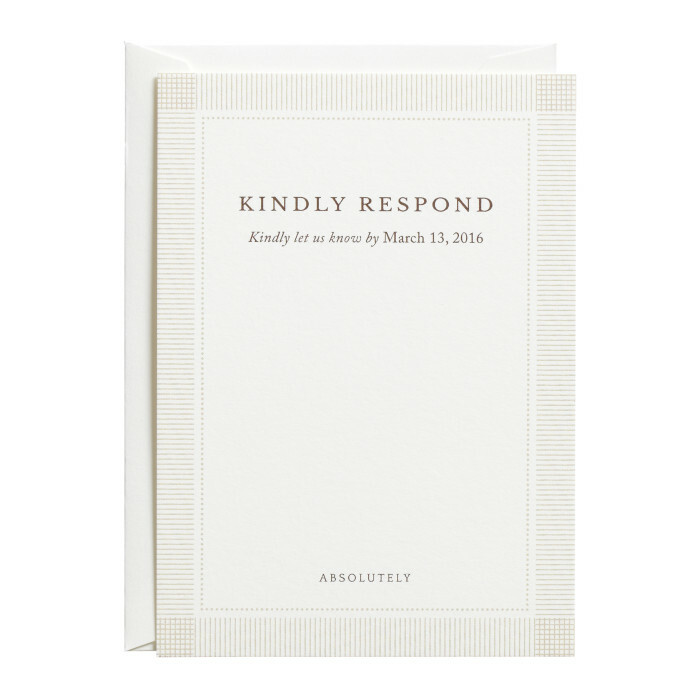 The RSVP Reply Card & Envelope models the look of the Invitation with a simple and classic border framing the space for guests to write in their responses as well as express their sentiments. The piece is flat printed single-sided on luxuriously thick cover stock with a subtle eggshell textured finish. The envelope is matte white with the same subtle eggshell textured finish. $430 for 100 flat printed RSVP Reply Cards and matching matte colored Envelopes.